Denver, Colorado. March 6, 2014. 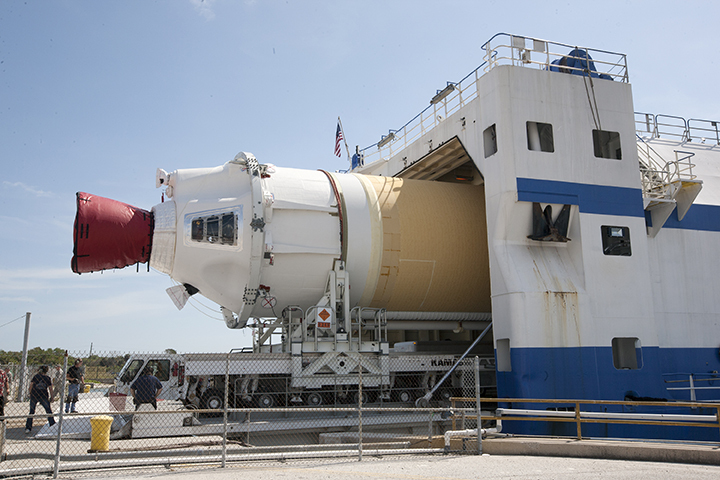 The Orion spacecraft has moved another step closer toward its first test flight as the core and starboard boosters for the United Launch Alliance (ULA) Delta IV Heavy rocket contracted by Lockheed Martin for that flight have arrived at Cape Canaveral Air Force Station. The rocket will undergo testing and processing at ULA’s Horizontal Integration Facility to prepare for Orion’s Exploration Flight Test-1 later this year. 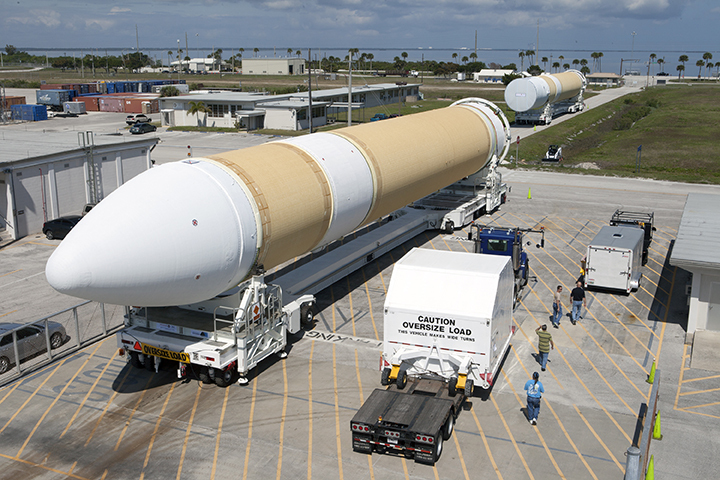 Technicians offloaded the boosters from a specially designed ship called the Delta Mariner, which had traveled 8 days to Florida from the ULA facility in Decatur, Alabama where the rocket is manufactured. Once in the Horizontal Integration Facility, processing and testing will be completed in preparation for rolling the Delta IV Heavy out to Space Launch Complex 37 for launch. During Orion’s test flight, the uncrewed spacecraft will launch on the Delta IV Heavy and will travel 3,600 miles beyond low Earth orbit. That same day, Orion will return to Earth at a speed of approximately 20,000 mph for a splashdown in the Pacific Ocean. EFT-1 will provide engineers with critical data about Orion’s heat shield, flight systems, and capabilities to validate designs of the spacecraft before it begins carrying humans to new destinations in deep space.